Petersburg is known as the “Little Norway” of Alaska. Remnants of Tlingit fish traps and petroglyphs dating back as far as 2,000 years can be found on the north end of Mitkof Island. 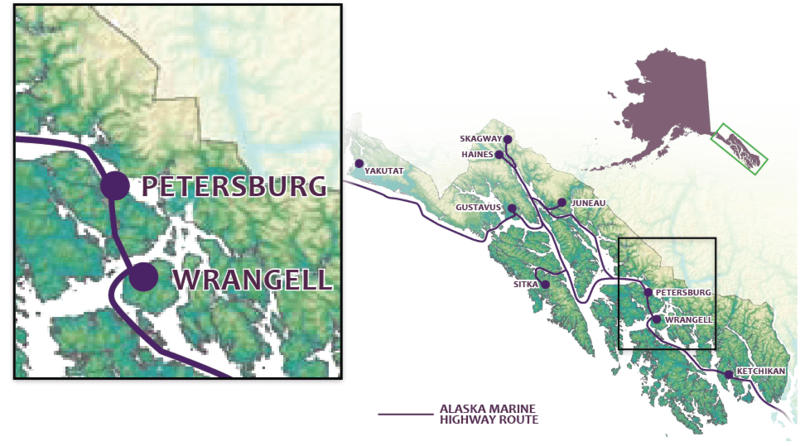 Petersburg is the 15th highest ranking port in the U.S. in terms of value brought in by the seafood industry. In 2011, 101 million pounds of seafood were landed in Petersburg. Home port to over 500 commercial fishing boats. One reason Norwegian Peter Buschmann established Petersburg was because he built a cannery near the available ice of LeConte Glacier.